Aligarh Muslim University Engineering Entrance Examination will take place on 26 May 2019 and the most awaited AMUEEE 2019 Result is likely to be available at the end of the month of May 2019. The results of AMUEEE 2019 will be available by the conducting authority, Aligarh Muslim University. 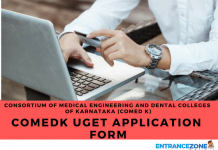 The results are generally available on the official website of the university which will invite the chosen candidates to be a part of the AMUEEE 2019 Counselling. The university will also declare the latest notification regarding the examination in all the major dailies and concerned websites. Candidate should visit the official website of the Aligarh Muslim University. Then click on the ‘Examination and Admission’ section at the top provided on the home page. http://www.amucontrollerexams.com. 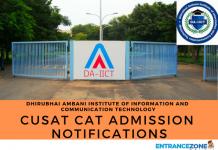 Proceed to the ‘AMU B.tech Result 2019’ link displayed on the notification bar. Candidates need to log in with personal details like Roll. No. & Date of Birth given at the time of registration. Candidates should keep a copy of the results displayed for future use. The Aligarh Muslim University will also declare the merit list combined with AMUEEE results or day after the release of results in order to accommodate the qualified candidates for the counselling process. Merit list will be prepared for all the candidates who passed the entrance examination. This also alerts the chosen students to keep ready with all important documents that they will require for the counselling session. There will be altogether 365 seats available in the AMU for candidates seeking admission into various engineering programs. The AMUEEE Admission Counselling will start in June/July 2019. This article contains all the necessary details about the AMUEEE 2019 Result. Candidates should go through the information carefully and prepare themselves accordingly for the counselling session. Final seats will be allotted on the basis of their rank in the merit list. 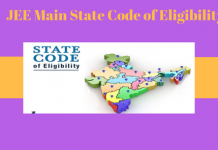 amueee 2019 cutoff, amu engineering cut off, amu mbbs 2019, amueee cut off 2019, amueee result, amueee result 2018, amueee cut off 2018, amu btech result 2018, amueee 2018 cutoff. amueee 2019 application form, amu login 2018, amueee 2019 registration, amu admission 2019, amu form 2019.